In early 2008, when the U. S. Presidential primaries were in full swing, I was given a visitation from the Lord. It was one I did not fully understand at the time. On the Republican side of the political aisle, John McCain had not yet secured his nomination from his party and Barak Obama was still in a heated debate with Hillary Clinton on the Democratic side of the ticket. Much was at stake and eventually; Barak Obama was elected President in the United States national elections close to four years ago. What I am about to share is to be discerned and prayed over – as is the case in all revelatory experiences. It was only in recent months, after I relistened to a recorded word given to me by a trusted prophet in January 2010 that I realized the magnitude of the word given directly to me by the Holy Spirit. This prophetic person stated that I had been given a visitation in early 2008 that was for the country that was governmental in nature. I had thought it was for then, but the Lord said it was a word for what was about to come. When I received the word in January 2008, I wrongly interpreted the message. I thought, “Oh that is about my visitation to start Prayer Storm – the hour that changes the world.” I thought – that is a great confirmation! Only in recent months when I relistened to the word recorded on my phone, I realized my commissioning encounter to start PRAYER STORM was in April 2007 not 2008! So my interpretation was wrong. I was left musing. I was alone sleeping in a downstairs room in my home in Franklin, TN. Michal Ann was still with us at the time though very ill with her long fought battle with cancer. We had round the clock home caregivers with her whether in our bedroom, hospital and rehabilitation unit. We slept the last two years of her dear life a part, as she was constantly being taken cared for. So I was desperate and seeking the Lord that night in this little hide away room down in our basement. That night the Lord gave me a vivid dream followed by a waking vision and an experience where the external audible voice of the Lord came to me. In the dream, I saw the nation on a teeter-totter tipping back and forth going to and fro – with great instability. We were going up and down and up and down and it seemed there was no relief is sight. The United States was reeling from fatigue of wars, corruption and economic uncertainty. Suddenly was awakened from the dream and the basement room was tangibly filled with the presence of destiny. I then saw in the seer realm a “baseball game in action”. A young pitcher was throwing a ball to the plate with great force and seeming agility. It was a curve ball that appears to be a strike but instead it was not a ball for the batter not to swing at. Another player was squatted behind the plate with a huge catcher’s mitt. He caught the off target ball as it pounded into his glove. Strange word. I did not understand it except for the sequence – liberalism to moderarcy to the possibility of true conservatism. I have “wrestled with this word and it has wrestled with me”. I remember even being in the state of Massachusetts at a church not long after this encounter, squatting to the ground and acting out the word about the Lord preparing a man from Michigan who would have a big Mitt! Mercy! Some liked what they heard and some did not. I was a bit clueless. I thought it was for then – 2008 – and I guess part it was. Liberalism has ruled in the nation for the past four years. Some cheer this as a great success and other bemoan this as a disaster. Whatever your view, it has come to pass. Liberalism, unlike any recent time in modern American history, has ruled the land in the past four years. But the Lord said there would be a man prepared who would come from the state of Michigan who would have a “big mitt”. Little did I know at that time that Mitt Romney – former Governor of Massachusetts, was born in the state of Michigan. Little did I know, when I received this in 2008, that he would win his parties primary for the 2012 national elections! As I have stated earlier, I have “wrestled with this word and it has wrestled with me”. I have pondered deeply if I should even share the word at all publically. I understand about praying revelation and at times not sharing your word with others. I have privately prayed more words than I have given in public. I have taught this realm for years and these truths are contained in my book The Prophetic Intercessor. For over a decade I have been declaring in many gatherings in many great cities of the earth: "While all eyes would be on Iran, to watch Syria. Iran will pose great threat, but the imminent danger to Israel's security would arise out of Syria." I have warned of chemical and biological weapons being stored up in this rogue nation and how they would attempt to export them to their puppet regime of Lebanon. I have seen this multiple times in dreams. But I also believe that prayer changes things! Sometimes I have grace and faith to pray that what I see does not occur. Sometimes I sense grace to intervene. Other times, like many of you, I have called forth the "Shields of the Lord to Arise" and protect Israel. At one point I called forth for 91 Days of Prayer for the Homeland Prayer Initiative to protect the borders of the United States of America. Sometimes I have sensed things are "out of God's appointed time table" and to call forth angels from heaven into the earth realm to hem in the demonic enemy. Sometimes I sense the clock is ticking according to God's prophetic calendar and in the midst of turmoil, His purposes are coming forth. In the fall of 1987 an angel of the Lord visited me and declared to me times of great distress would come to the Persian Gulf. In that angelic visitation when we lived in south Kansas City, MO, I was given the exact dates of both Gulf War invasions in 1991 and 2003. I was assigned by the Lord to be a "Crisis Intercessor" for the entire month of February, 1991 when there would be a "ground engagement" in the land of Iraq. I took my place and I did my part along with others around the world. Later, I saw in the Spirit that Syria would conspire a scheme of invading the Golan Heights as things would heat up and temporarily go "out of control in the Middle East." Years ago the Holy Spirit spoke to me about the fall of 2012 (5773) and how things would heat up and spill over into an eruption in 2013. I have meditated on Psalm 83 where it says, "The Nations will conspire to wipe Israel off the face of the earth to be remembered no more." I have written and spoken on Psalm 83 for the past decade. Like many of you, I have logged many personal hours over the years being up the middle of the night to "watch to see what the Lord would speak." In January of 2004, the Lord woke me up in the middle of the night and said, Watchman, tell me, what do you see? I looked up and in a visionary experience saw a clock that was not there in the natural, hanging on the bedroom wall. The time on the clock read 11:53 p.m. and above the 12 were the letters “Zech.” The Holy Spirit then said, Watchman, tell me, what do you hear? Then suddenly the external, audible voice of the Lord came: It is the countdown to Zechariah 12. The burden of the word of the Lord concerning Israel. Thus declares the Lord who stretches out the heavens, lays the foundations of the earth, and forms the spirit of man within him, “Behold, I am going to make Jerusalem a cup that causes reeling to all the peoples around; and when the siege is against Jerusalem, it will also be against Judah. It will come about in that day that I will make Jerusalem a heavy stone for all the peoples; all who lift it will be severely injured. And all the nations of the earth will be gathered against it.” . . . The countdown to Zechariah 12 is on. I never have stated that this would happen in the next seven minutes, seven years or even seventy years. What I do know is that God’s prophetic clock is moving toward a kairos moment when God’s plan for Jerusalem will be consummated. This is the final countdown! God has a Road Map, and it points toward Zechariah 12:10. It is easy to identify with Zechariah 12:3 as we hear about the nations coming against Jerusalem. 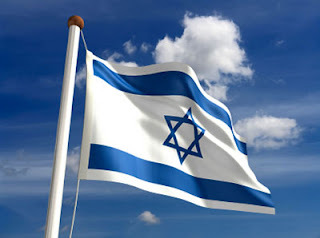 But read further and you will see that Zechariah 12:10 declares that God will “pour out the Spirit of grace and supplication on the house of David and the inhabitants of Jerusalem, and they will look upon the One whom they pierced and will mourn.” Let’s arise and pray for Israel’s destiny and that of the entire Middle East! Since that revelatory encounter those many years ago, I have pondered on the time shown on the clock—11:53. Perhaps it is something like this: Romans 11 will be fulfilled through Isaiah 53. Romans 11—“all Israel will be saved”—will be fulfilled by a revelation of the Suffering Messiah in Isaiah 53. Then the Lord, my God, will come, and all the holy ones with Him! . . . And in that day living waters will flow out of Jerusalem. . . . And the Lord will be king over all the earth; in that day the Lord will be the only one, and His name the only one. . . . People will live in [Jerusalem], and there will no longer be a curse, for Jerusalem will dwell in security. The Father will reward His Son, the Messiah, for His sufferings. The salvation of Israel is a key component of that reward, and the Father will not do without it. If we are going to align ourselves with the God of Israel, we are going to have to align ourselves with His covenants and His prophetic promises of the salvation of the Jews and the restoration of Jerusalem. It is not difficult to find political analysts, historians, reporters and even theologians ready to explain their theories and share commentary on Israel’s current state of affairs. But despite the abundance of opinions and strong feelings, the future of Israel still remains a mystery to most of the world. Paul, the apostle and bond slave of the Lord Jesus Christ, did not want believers to be uninformed of this mystery or to be wise in their own estimation concerning Israel (see Romans 11:25). The Holy Spirit through Paul made a number of very clear points in Romans 11. Despite what it may look like, Israel has not fallen so far from God that they can never return. In fact, their falling away was ordained by God as a measure of grace to us, the Gentiles. Paul said it this way: “He redeemed us in order that the blessing given to Abraham might come to the Gentiles through Christ Jesus, so that by faith we might receive the promise of the Spirit” (Galatians 3:14, niv). The Gentiles are being embraced by the Jewish Messiah in part to make Jews jealous (see Romans 11:11). Gentiles are not “natural branches” on God’s family tree, but rather “wild olive shoots” who must recognize that they have been grafted in. 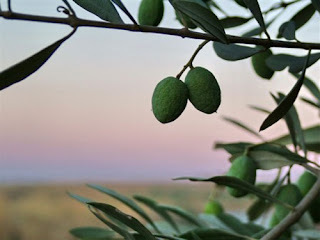 God’s plan is to graft the “natural branches” into their own olive tree once again (see Romans 11:24), resulting in the reality that “all Israel will be saved” (Romans 11:26). God Has a Grand Plan! Until what? Maybe you have read this verse many times. Have you realized that the word until is the key word in this passage? “A partial hardening has happened to Israel until—” That means there is a point in time when the hardening will be removed. That time is when “the fullness of the Gentiles has come in” (Romans 11:25). What does the fullness of the Gentiles look like? Perhaps it deals in part with the day Jerusalem was released from Gentile control and restored to Israeli rule in 1967. But knowing the God that we serve, this probably does not deal only with land but with hearts as well. What I do know is God has a Road Map, and it is different from the international Quartets Road Map. God has a grand plan and ultimately His will shall be done! A Watchman for Such a Time As This! For a few years I have been meditating on the principles of “Catching and Surviving every Wave of the Holy Spirit” while yet staying grounded in the main and the plain of the doctrines of the historical church. There have been numerous movements of the Holy Spirit through out our wonderful church history: The Great Reformation, the First and the Second Great Awakenings, the Pietism and Holiness Movement, the Student Volunteer Movement, the Pentecostal Outpouring, the Latter Rain and Healing and Deliverance Movements and even in more recent times, Evangelical and Charismatic movements and many others. Every wave of the Holy Spirit has restored truths to the larger body of Christ and often even birthed entire new denominations and or ministries. The first mention of the Holy Spirit is that “He moved upon the face of the deep” (Genesis 1:2). So going by the Law of First Mention in Biblical Interpretation, we can say it is the “nature of the Holy Spirit to move and keep on moving”. I have seen or experienced the following expressions of the Christian faith in my own span of 60 years: Evangelical, Charismatic, Jesus People, Discipleship, Word of Faith, Third Wave, Global Worship and Prayer emphasis, then shifting into the Prophetic Movement and the New Apostolic Reformation. 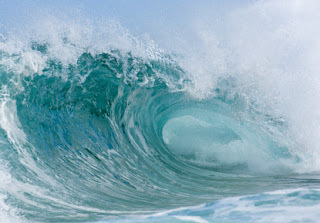 Within each of these tidal waves there have been the contributing revival peaks such as the Korean Church Growth, Argentine Outpouring, the Chinese Underground Church Movement, the Cell Church explosion with its many expressions, the Toronto Blessing, Brownsville Revival and many other contributing tributaries. The Third Wave is a term was coined in the early 1980’s to describe the recent historical working of the Holy Spirit in the global Body of Christ. It is part of a larger movement called the "neocharismatic" movement. The Third Wave involved those Christians who have received Pentecostal-like experiences; however, those who identified with this movement often claimed no association with either the Pentecostal or the previous Charismatic movements. • The “First Wave" occurred at the beginning of the twentieth century with the rise of the Pentecostal movement, arising in Topeka, Kansas in 1901 with Charles Parham and shifting to the Azusa Street Revival in 1906 with William Seymour, Frank Bartleman and others. This gave birth to many classical Pentecostal denominations such as the Assemblies of God, Church of God, Four Square, Church of God in Christ, Pentecostal Holiness, Open Bible and various other Pentecostal streams. Other revival movements came on the shores in various parts of the earth as in Wales under young Evan Roberts, Shantung, China with Bertha Smith, and the Hebrides Islands with Duncan Campbell and many other lands. • The “Second Wave" occurred during the 1960’s as the Charismatic Movement spread throughout mainline protestant denominations, as well as the Roman Catholic Church. The Full Gospel Business Men’s, Women’s Aglow International, the Discipleship and Word of Faith movements were also expressions of this massive global wave. A parallel movement, based on the West Coast of the United States, was the birthing ground of the Jesus People Movement with the signs and wonders of Lonnie Frisbee and teacher Chuck Smith of Calvary Chapel. Contemporary music had its debut with Maranatha Music leading the way with a host of other expressions following in it’s amazing trail. • The “Third Wave" occurred during the mid 1980’s and into 1990’s and was associated with leaders such as John Wimber of the Vineyard Movement along with others such as Peter Wagner of the Church Growth Institute and Fuller Seminary, James Robison amongst the Baptist Fullness Movement and many significant voices of integrity with sound theology such as Jack Deere and many others. In 1960, in Van Nuys, California, the modern Charismatic movement began in an Episcopalian Church (St. Mark's, with Dennis Bennett as rector). There was an outburst of tongues speaking in this church. This event was so significant that both Time and Newsweek covered the story. After that, the movement spread like wildfire in the Episcopalian and Anglican Church and then among Lutherans, Presbyterians, Methodists and other main line denominations as well. At the time of spring vacation in 1967, there were in the Notre Dame area about 30 zealous Catholics who had received the "baptism of the Holy Spirit." In 1970, the increase was more spectacular. Almost 1,300 attended the conference, including Catholics from Canada. In 1973, 22,000 Catholic Charismatics met together at Notre Dame, including Catholic participants from at least 10 foreign countries. By 1974, the Notre Dame conference was attended by 30,000 people. It simply grew and grew. The Charismatic Conference on Renewal in the Christian Churches was held in Kansas City in the summer of 1977. I was a young leader in the Jesus People Movement in attendance at this grand event. I will never forget the spontaneous praise that broke out for over 20 minutes as Bob Mumford declared, “I looked at the back of the Book, and guess what? We win!” It was an electrifying moment! All three wings of the Pentecostal movement were present: (1) Classical Pentecostals; (2) Protestant Charismatics; and (3) Catholic Charismatics. This was the biggest and most inclusive gathering of "baptized in the Spirit believers" in modern history. There were nearly 50,000 participants in this 5-day historic conference. The Fuller Seminarian C. Peter Wagner first coined the term “Third Wave” in 1983: "I see historically that we're now in the third wave. The first wave of the moving of the Holy Spirit began at the beginning of the century with the Pentecostal movement. The second wave was the charismatic movement, which began in the fifties in the major denominations. Both of those waves continue today. I see the third wave of the eighties as an opening of the straight-line evangelicals and other Christians to the supernatural work of the Holy Spirit that the Pentecostals and charismatics have experienced, but without becoming either charismatic or Pentecostal. I think we are in a new wave of something that now has lasted almost through our whole century" (Peter Wagner, "The Third Wave?" Pastoral Renewal, July-August 1983, pp. 1-5). I also had the honor of crossing over into this Third Wave emphasis after being a participant in both the charismatic and Jesus People ripples, as I had the honor of being a part of the leadership of Metro Christian (later Vineyard) Fellowship led by Mike Bickle in the Heartland of the U. S. It was a time of the mingling of the anointing of “Compassion and Worship” of the Vineyard with the “Prophetic and Intercession” of the Kansas City Prophets. Multiple streams of the Prophetic Movement emerged quickly in many locations and continue to flourish to this day. This in turn was succeeded by another step of restoration that some refer to as the New Apostolic Reformation with many diverse global networks and expressions. In the spring of 2011, I was given a vivid dream in which John Wimber was the central figure. This great Third Wave leader had though already graduated to his heavenly reward in 1997. This musical minister was one of the greatest statesmen who moved in authentic power in recent church history. In this prophetic dream, the Holy Spirit used John Wimber as a representational voice of the Third Wave. I was told that the purpose for that movement had now subsided and that it was time for another wave to roll in upon the scene of global church history. This 4th Wave would be one marked by Transformation. Recently, I shared with you how in July 2012, I was given a vision showing California as a womb for the Body of Christ in my encounter called Come Again Holy Spirit. Please take notice, that the previous 3 Waves came from or had great influence in California. So would it also be with this new 4th Wave. It is and will have great impact in California but be global in nature. Some of our older leaders in the Body of Christ would now be free to graduate to their heavenly reward while others with youthful and teachable hearts would be invited to be the fathers and grandfathers and mothers and grandmothers as “Reformational Architects”. The 4th Wave emphasizes societal change by channeling these empowered believers to impact the 7 Cultural Mountains of Religion, Government, Education, Business, Family, Media, and the Arts and Entertainment. Fresh intercessory strategies will now arise for effective ministry in the Market Place. The supernatural power of the Holy Spirit will not be able to be contained within the “four walls of the church” but rather explode into every sphere of life. Apostolic hubs in numerous cities of the earth will emerge each with distinct spheres of influence releasing rippling supernatural effects. For now, I will push a pause button and bring a third installment of this unfolding vision of the future called A Door to the Harvest in one of later weekly installments. But let it be known, From the Desk that I Sit From, the Fourth Great Wave has begun!